Saga LNG Shipping’s 45,000-cbm liquefied natural gas carrier named Saga Dawn started sea trials on Thursday in the East China Sea. The LNG carrier is being built at China Merchants Heavy Industry’s (CMHI) shipyard in Jiangsu. “The sea trials will last 4-5 days. Then we will work towards to the gas trails in February or March 2019,” Saga LNG’s chief David Wu said Friday. Following gas trials, the vessel will start its operations. This vessel is the first LNG carrier in the world using the LNT A-Box LNG containment system developed by LNT Marine. It has a deadweight of 24,500 tons at design draught and 29,500 tons at freeboard draught. Saga Dawn is powered by a four-stroke dual fuel engine and auxiliary engines capable of running on natural gas. The vessel concept is named LNT 45 and was developed by FKAB together with LNT New Technologies. 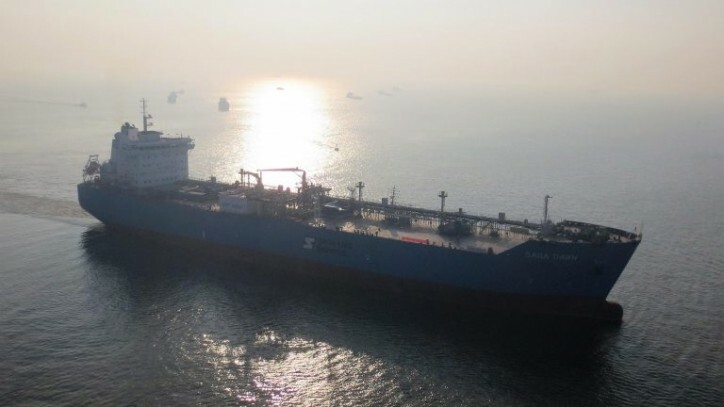 This is the first LNG carrier for Singapore-based Saga LNG Shipping with the company planning to expand its fleet with additional small and mid-sized carriers. To remind, Wu told LNG World News in November that the company plans to order an 80,000-cbm LNG carrier for a planned liquefied natural gas project on the Yangtze River in China. The company is also working with a Chinese design house to develop a 28,500-cbm carrier and a 12,000-cbm vessel.